Often at work when I have to rebuild a PC there are occasions where I cannot work out what device that is labelled Uknown Device under the Windows Device Manager. However I have since found an easy way to find out what device the "Unknown". Every device has a Vendor and Device id associated with it. If you can find this ID, you can find the manufacturer. Open Device Manager by right-clicking on My Computer and selecting Manage. 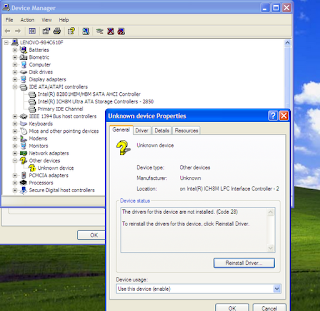 Once Computer Managment is opened, select Device Manager. 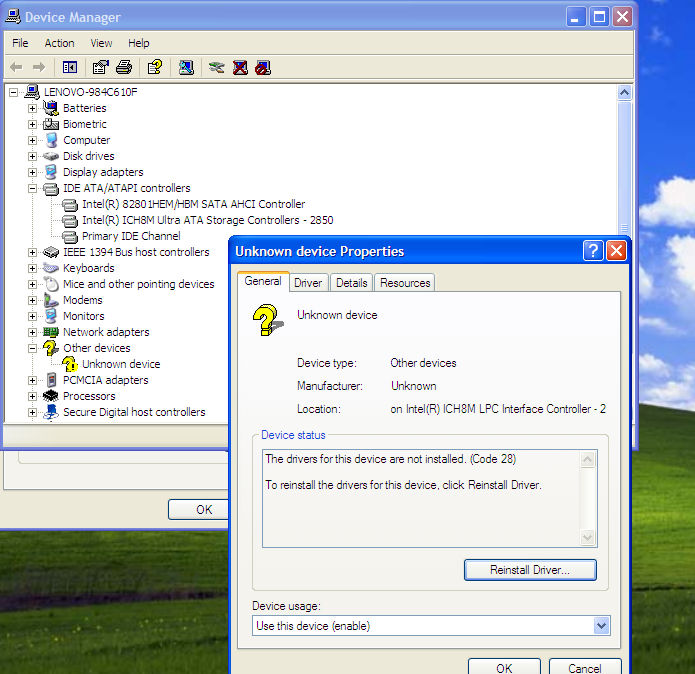 The hardware whose drivers are missing will appear as Unknown device, so it's easier to locate the device. Right click on the unknown device and click on Properties. Under the Properties window click on Details tab and select Device Instance Path from the drop down box. There are two portions to this that we are interested in; VEN and DEV. The numbers following are the Vendor and Device IDs. Once you have obtained both the IDs, you can now take these and search them in the PCI Database. There you can either search for the vendor from the vendor ID or directly get information about the device along with the vendor name by searching with the device ID. I have found this to be a sure way to discover you missing and unknown devices and start to download their associated drivers.